Medium Rug. 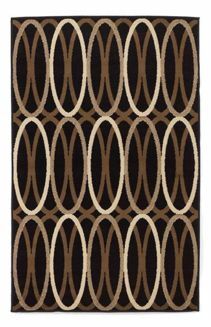 Machine Woven Contemporary Linked Circle Patterned Design in Black, Tan, and White. Polypropylene. Pile Height. Dry Clean Only. Rug Pad Recommended.